Although I’m not a big fan of most potato dishes, this one is an exception for my family. We don’t eat it very often, but when we do, its usually part of a celebration. An example was my guys were going to take me out to dinner for my birthday. I decided that I would much rather spend the evening at home cooking with them. So together, we made a Greek dinner, grilled meatballs, salad and this potato dish, with an evil chocolate torte for dessert. There is something about cooking with (and for) people you love. It was one of the best evenings I’ve ever had. This dish is normally made completely in the oven at high temp. Not the best scenario if its summertime, when it takes a couple of hours or if you don’t have a lot time. I use my pressure cooker to speed up the process. 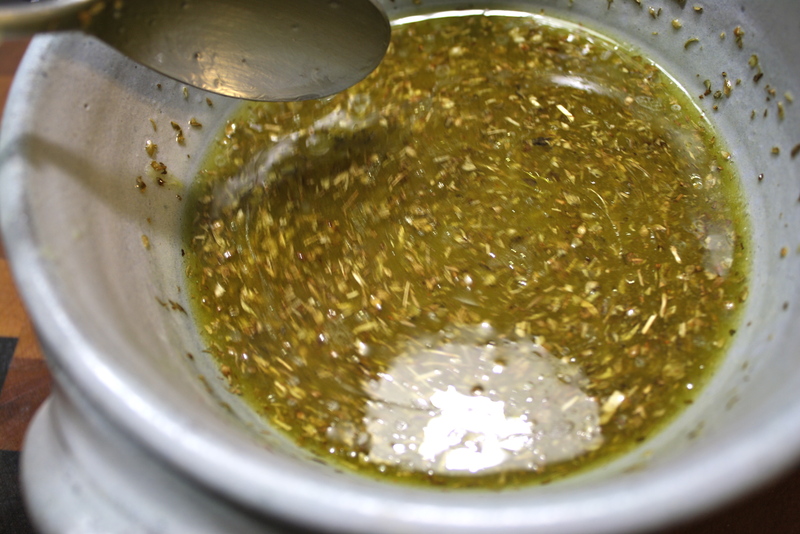 If you don’t have a pressure cooker, you can do the first part on the stove in a pot. The results are still spectacular. In a 4-5 qt pressure cooker: place the steam rack in the bottom. Add about 1 inch depth of water. (unless your pressure cooker is stainless steel-do not add any lemon juice) Place the diced potatoes in the cooker, add salt and pepper. Close steamer and put at 10 lbs of pressure. Heat until weight begins to jiggle. Adjust heat until weight jiggles only every 20 secs or so. Cook for 10 minutes. Turn off heat and remove weight and wait for pressure to completely reduce to normal before opening cooker. Drain any remaining water. 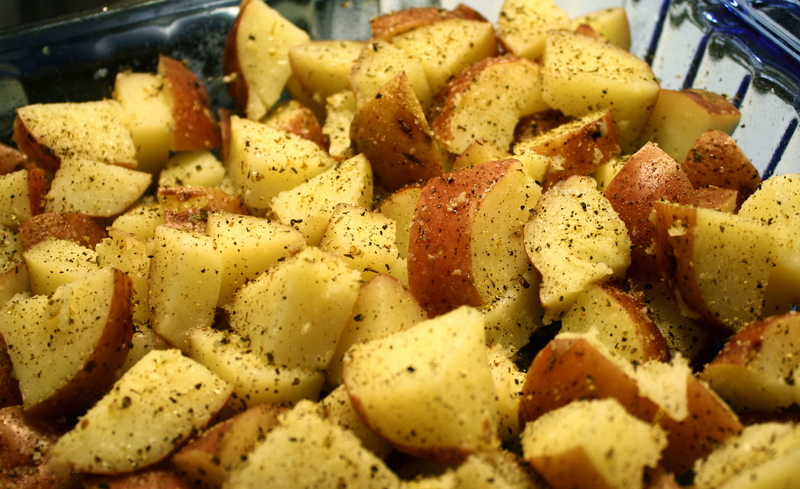 OR– In a 4-5 qt pot: Put diced potatoes in pot. Add cold water (just enough to cover the spuds) add salt and pepper (even a little lemon juice if you like-1 tbs) and put on medium heat. 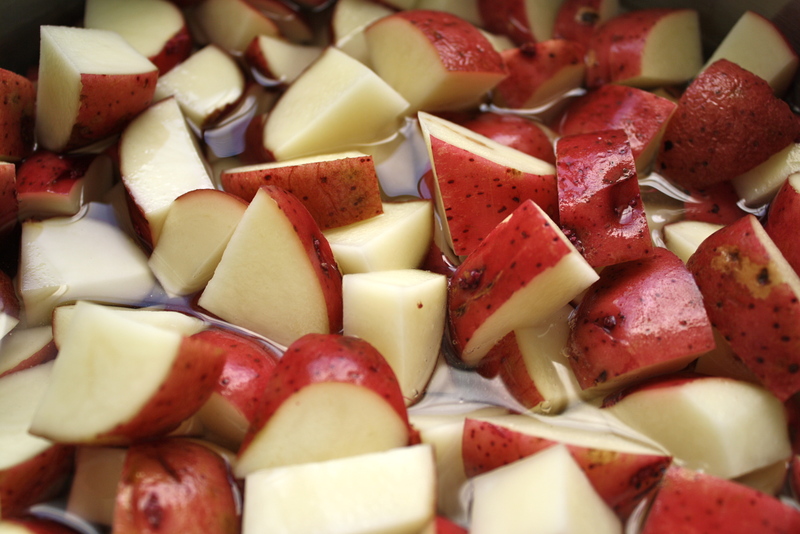 Bring to a boil and simmer until potatoes are almost cooked. Remove from heat and drain. Bake for about 45 minutes until potatoes are tender. 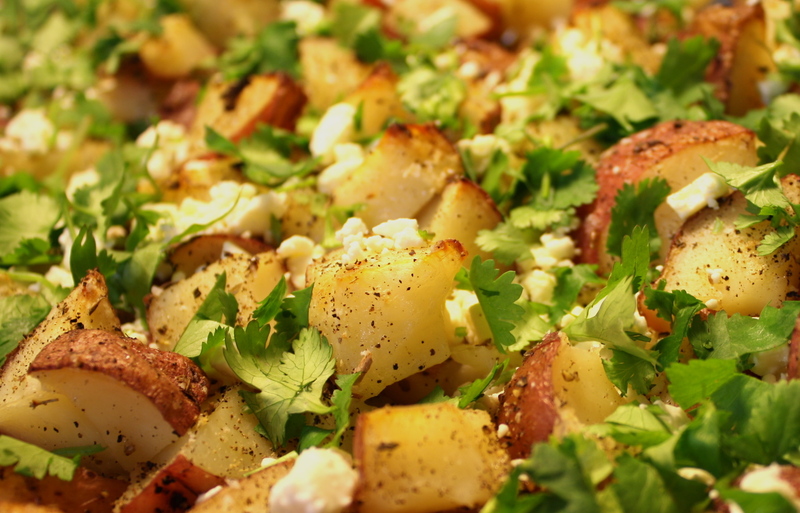 Top with chopped fresh parsley and feta cheese, if you like. Enjoy!